The competitive tender landscape has changed a lot from the days of heavy ring binders and unformatted Word documents. Every person has become a consumer of branding. Everyone, whether they realise it or not, makes a value judgement based on what is put in front of them. Consequently, how it looks is almost as important as how you write your bid proposal. What’s expected today is branding that reflects your offer, your strategy and your commitment to the client’s requirement. You need to be able to tell and sell a story that is not only exciting and enticing, but also consistent in its approach. This involves creating a unique proposal brand and design for your client that resonates with them and their needs or problems. For clarity, effectively branding a proposal does not incorporate you plastering your own logo and corporate colours all over the documentation - that would make your submission all about you, its not about you, its about your client. 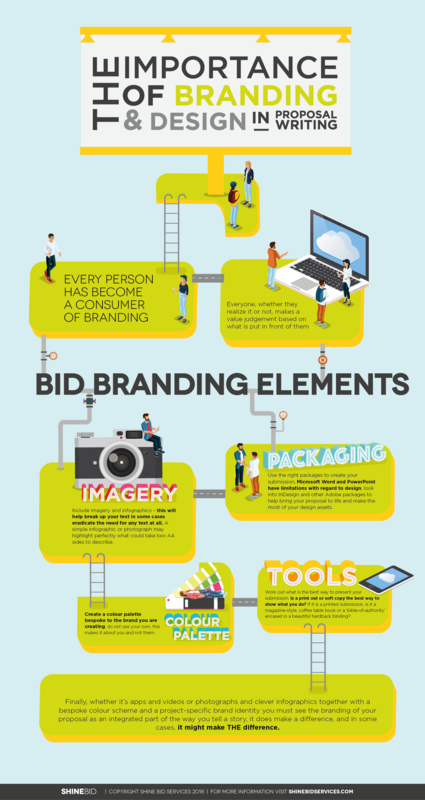 The brand that you develop must resonate with them and the problem they want you to fix, it therefore needs to fit in with what we’ve discussed in previous posts – your bid strategy. Branding is the expression of the essential truth or value of your response to the Proposal. It should communicate the characteristics, values and attributes that clarify what this particular brand is or is not. What good branding does is pull in the viewer and envelops them in the proposal and the world you are creating for them with your offer. 1. Include imagery & Infographics. This will break up your text and in some cases, eradicate the need for any text at all. A simple infographic or photograph may highlight perfectly what could take two A4 sides to describe. 2. Create a colour PALETTE bespoke to the brand you are creating, do not use your own, this makes it about you and not them. 3. 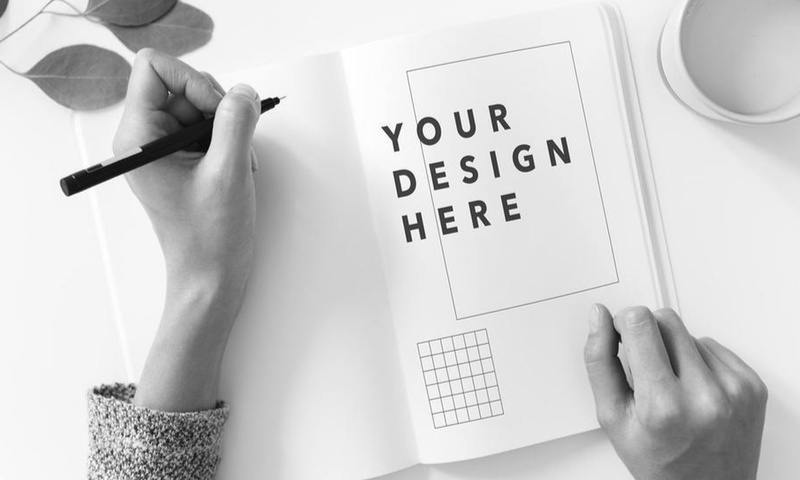 Use the right packages to create your submission, microsoft word and powerpoint have limitations with regard to design, look into indesign and other adobe packages to help bring your proposal to life and make the most of your DESIGN assets. Work out what is the best way to present your submission, is a print out or soft copy the best way to show what you do? There are many options including digital submission maybe containing videos and a CG “fly-through” in addition to your cutting-edge photography. There is the option of printed submission – but is it a magazine-style coffee table books, or a “bible-of-authority” encased in a beautiful hardback binding? Both can work, depending on your strategy. Finally, whether it’s apps and videos or photographs and clever infographics together with a bespoke colour scheme and a project-specific brand identity you must see the branding of your proposal as an integrated part of the way you tell a story, it does make a difference, and in some cases, it might make THE difference. If you need advice on the design of your proposals bids or writing pro we’re here to help, simply arrange a call.